Steeply terraced hillsides unfold before you revealing verdant vines and sage-colored olive trees surrounding stark white wine estates with traditional clay roofs glowing burnt orange in the sun; this is the Douro River Valley. The small European country of Portugal has been making a name for itself in the past few years as it tops one travel list after another, and the waterways of Portugal are no exception to its beauty. A river cruise beneath the lush and dramatic hills of the Douro River Valley and through its staggering locks gives visitors a taste of small wine-growing towns and richly historical cities. 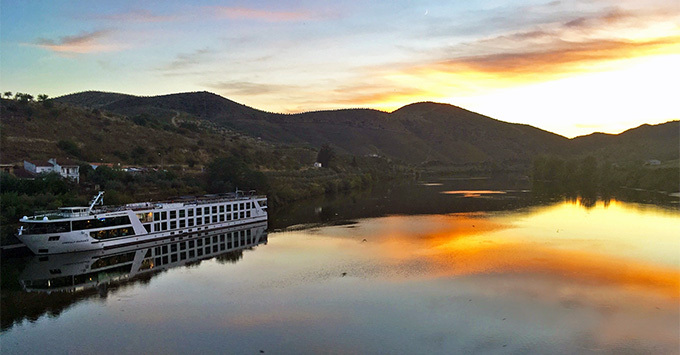 We are onboard Emerald Radiance this week -- Emerald Waterways' newest vessel, purpose-built for the Douro River -- and we're offering seven reasons why Portugal's Douro is perfect for your next cruise. People who live in the Douro River Valley year-round might think you mad for saying so, but outside of their windy and cold winter months, weather during the summer and fall sailing season can be exceptional. The weather here within the Douro's microclimate is what makes it particularly great for growing wine: sunny, warm days and cool nights with little rainfall. It's also a combination that makes for a pleasant holiday. The sun deck on Emerald Radiance features loungers, shaded seating areas and also a heated wading pool with jets to enjoy as you soak up the gorgeous landscape. Most Douro River cruises depart from Porto, Portugal's second-largest city. While most fans look toward London for their wizarding fix, it was actually here in Porto that JK Rowling first conceived of the ideas that would become the phenomenon of Harry Potter. 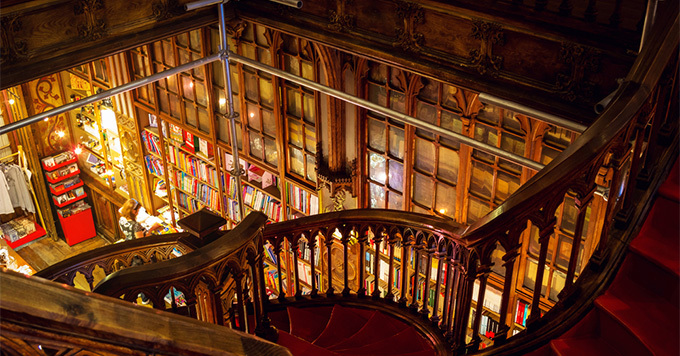 On the first or last day of your river cruise, you can tour some of Rowling's most magical hangouts: Cafe Majestic, the Livraria Lello bookshop and Porto's winding (Diagon) alleyways. Even if you're not a follower of the series, the intricate architecture and charming ambiance of these stops is sure to inspire. For every village you visit, there is sure to be a Portuguese delicacy that they're known for. You will be stunned by the breadth and quality of the local meats, cheeses, seafood, pastries and even olive oil that you will find in the ports you visit along the Douro Valley, as well as onboard your river ship. Try bacalhau (codfish done a number of ways), pasteles de nata (flaky tarts with custard filling) or a Romeo & Juliet (a variety of local cheese served with quince jam). Onboard Emerald, there is always a chef's specialty featuring a regional dish called a "local treat," which might be a pork and beef stew with chick peas, or tempura of hake filet. (Did you know the Portuguese invented the frying technique known as tempura?) The chef might also lead a cooking demonstration -- on our cruise, we learned how those delectable nata tarts are made. Vinho -- where to begin? Vinho is the word for wine in Portuguese, and it's an understatement to say you will see a lot of it in the Douro River Valley. This area was legally demarcated as a wine-growing region as many as 360 years ago, yet wine has been growing in this valley for thousands of years, so an education in wine comes de facto with a Douro River cruise. Portugal is of course best known for its port, a dessert wine fortified with brandy, and there are many varieties to try from the more common ruby or tawny ports to the syrupy white port and even a rose port. Care for a simple red or white wine? Those are delicious here too. Consider a vinho verde (green wine), a slightly fizzy and extremely refreshing varietal named for its young grapes. Emerald Radiance offers a regional wine menu onboard including port and port cocktails. Local red or white wine and beer is included at meals. Many don't think of Portugal before its "Age of Discoveries" fame in the 15th and 16th centuries (Henry the Navigator, Vasco da Gama and the like). However, human civilization was first documented in the Portugal region about 25,000 years ago. That history is preserved and maintained whenever possible by the Portuguese, and you will find evidence of it in your ports of call. In Pocinho you will visit the pre-historical Coa Museum for insight into what human existence in Europe was like tens of thousands of years ago including in-depth exploration of ancient rock art found in the Coa Valley. Another example of where Portugal's history shines is the small but impressive Lamego Museum (an included excursion on Emerald while you're docked in Pinhao). Artwork, artifacts and stonework span the centuries, with amazingly well-preserved pieces of headstones that date as early as the 1100s. Nearby, you will be awed by the town's cathedral, with its colorful fresco ceilings, which only becomes more striking after you learn that it's about 500 years old. 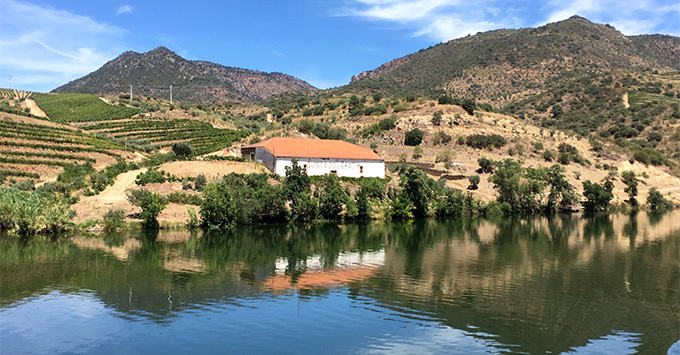 The Douro is actually an international river, crossing into Spain, and you will also have a chance to see that side of the border with a call on Vega de Terron, and a bus ride into the equally historic city of Salamanca. Its famous university is celebrating 800 years in 2018. As previously mentioned, the colors and patterns that the vineyards and olive groves make along the Douro Valley is a stunning backdrop to your cruise -- and quiet. You will occasionally see other river ships, but this waterway is not yet nearly as crowded as more popular rivers like the Rhine, nor will you see much in the way of cars or people. This means that at times, you do feel secluded among a Mediterranean oasis. The only downside is if you prefer to do much more than watch the rolling hills pass you by -- at times, there isn't much else going on. There are occasional landmarks to look for, including a bridge in Pinhao designed by Gustave Eiffel, built at the beginning of the 20th century. A destination is completely shaped by the people who represent it, and you won't find friendlier locals than in Portugal. English is pretty widely spoken, but even when it's not, residents make every effort to accommodate. 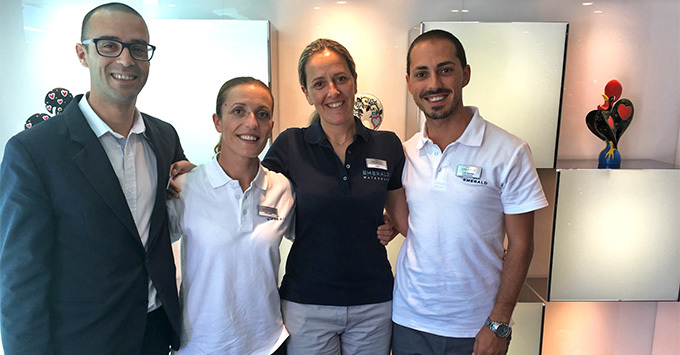 Unlike other cruise itineraries where staff hail from multiple countries, the crew onboard Emerald Radiance are all proudly Portuguese. This means that the cultural immersion doesn't end once you step foot back onboard. From language lessons to culinary or craft demos, your entire experience in Portugal is authentically presented by natives who love where they are from, and are happy to have you visiting.